Proud to be celebrating 25 years of learning and the first for many important milestones in Ho Chi Minh City, International School Ho Chi Minh City (ISHCMC) has a rich history yet is always innovating through pedagogy, curriculum, facilities and opportunities beyond the classroom. Students are educated to construct an understanding of knowledge and of their world through carefully developed learning and social skills. ISHCMC offers a progressive educational approach set within modern learning environments. In 2018, ISHCMC opened a state-of-the-art Secondary campus boasting unique facilities such as Vietnam’s first Innovation Center, professional theatre, recording studios, NBA-sized basketball court, rooftop sports field, 25m 8-lane pool, food and design teach spaces. The existing campus continues to undergo extensive renovations to meet the needs of younger learners by offering new learning suites including a Fab Lab, Food Tech, extensive Art studio, Makerspaces, film studio and studio concept. Both campuses offer clean air through advanced purification systems. Although now two campuses, ISHCMC remains one community. ISHCMC utilizes the flexibility of the International Baccalaureate programmes to encourage an inclusive, broad and balanced approach to learning through inquiry, exploration of concepts, principled and caring citizenship, creative problem solving, collaboration, communication and connectivity. 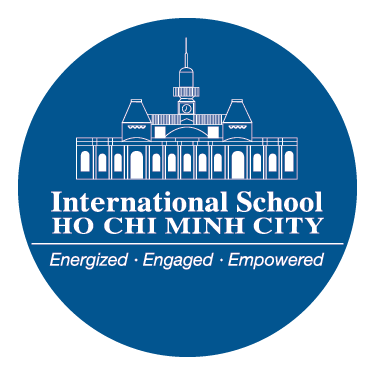 International School Ho Chi Minh City (ISHCMC) represents a culturally diverse group of families and teachers from over 55 countries. The community is brought together by a common purpose to build a Culture of Achievement that is Energized, Engaged and Empowered. As an International Baccalaureate (IB) World School, International School Ho Chi Minh City (ISHCMC) constructs a culture of achievement in an environment where students are energized, engaged and empowered to become active participants in their communities. ISHCMC’s aim is to be widely recognized as a school that nurtures a creative and collaborative learning environment; one in which students and teachers seek to achieve beyond their goals, flourish as individuals, display compassion, embrace challenges, take principled action on local and global issues and enjoy being part of their community. Description The approximate number of teacher contract days is 192. Description All new teachers commence employment on a maximum of Step 9 on our salary scale. The step is determined by the number of years of teaching your have previously completed. Description Taxes are paid by the employee up to 30%. Description A 'Housing Allowance' of US$1 300 per month is provided. Taxable income, to be paid with the monthly salary. A 'Settling In Allowance' of $920USD is paid. Taxable income, to be paid during orientation. Location introduction: The An Phu area in District 2, where the two ISHCMC campuses are located, is HCMC's most popular area for expatriate professionals to live. It is a peaceful, warm and family-friendly area that is just a short drive from the hustle and bustle of the city center. The tree-lined streets of Thao Dien offer a variety of boutique stores and spas, gourmet grocery shops, bakeries, butchers, fishmongers as well as many restaurants and cafes. Daily, residents can be seen walking and cycling the streets and enjoying the village environment and strong community spirit of the An Phu neighborhood. Description Airfares are reimbursed ($ Actual costs) Return airfares are provided annually. One-way economy ticket for relocation/repatriation, a return economy ticket for annual home visit, non-taxable and to be paid directly to the school's appointed travel agent. Description Utilities are to be covered by the employee. Description A 'Moving Allowance' of $ 1,830USD is paid for relocation and $2,770USD for repatriation Non-taxable income, to be paid directly to the school's appointed local shipper. Description The school will provide tuition free of charge for up to two dependent children. Description Health Insurance is provided by the employer. This package is considered to be comprehensive for all of the world, except the USA. Description Dental Insurance is provided by the employer. Description Long Term Disability Insurance is not provided by the employer. Description Cognita Schools are committed to safeguarding and promoting the welfare of children and young people and expects all staff, volunteers and other third parties to share this commitment. Safer recruitment practice and pre-employment background checks will be undertaken before any appointment is confirmed. An expatriate employee is required to successfully obtain a working permit in Vietnam with several documents needing to be properly notorised, authenticated and legalised. School HR will provide full relocation services.